Arlene Mejorado is a Los Angeles-raised documentarian and multi-media artist based in San Antonio. Her own experiences shape her storytelling practices and subject matter interests. In 2013, Arlene co-founded Mujeres en Medio, a women-of-color digital platform for storytelling. As a first-generation “American” she is constantly exploring themes of diaspora, cultural hybridity, gender-queerness, and racial identities. Through the mediums of photography and documentary film, Mejorado experiments with the intersection of art and visual storytelling. Through street and gallery installations, she seeks to transform public space and engage her art with the social environment. Mejorado received a degree in Latin American Studies from the University of Texas at Austin and is currently pursuing new academic and creative endeavors. She is the founder and editor of Optica, a women’s photography magazine. She has worked on special digital media archival projects at the Human Rights Documentation Initiative, El Salvador’s Museo de la Palabra y la Imagen, Self Help Graphics & Art, and San Anto Cultural Arts. Her documentary film was featured in Germany’s 2015 Filminitiativ festival within the African Diaspora category. We got to know her work when she worked on We The People campaign, a campaign created in response to the divisive rhetoric surrounding the presidential election. We’ve followed her work since then. Here we interview her and get to understand her creative manifestations a little bit more. For Creative Girls: You are a great storyteller, what spurs you to tell and share stories? I think it was a series of moments that got me to this point. Growing up I witnessed so many interesting and complex stories of survival and identity. From a young age, I would ask myself “is this normal” and “do other people see what I am seeing” and I think a child-like curiosity and the emotions of empathy and validation drive me. Which story have you heard/shared that has changed you the most? One of the most challenging stories I handled came from my friend, and elder named Irma in Morazan, El Salvador. She, like many women of her generation, experienced and saw atrocious things throughout the civil war in her country. She was a survivor and also a rebel in her country. She was a guerilla fighter for the FMLN and shared a lot of stories during the week I spent with her about the challenges women faced while being militants among men. Overall, it was countless stories of resilience but some of the details were triggering to me but I feel like I am able to stomach stories like this much better now. I really grew a lot from learning her experience. Tell us about your background and your journey to becoming an artist. Who and what has influenced your journey the most? I was a “late bloomer” when it comes to photography and I am self-taught. Thanks to free community workshops and online help, I learned the basics of photography and storytelling. I now realize that my interest was discovered through painting when I was a teenager. I liked oil painting and always wanted to do portraits, especially of black and brown skin. In my early 20’s I started painting with Margaret Garcia, a Chicana painter from Los Angeles. I would do live portraits of people I would pull randomly off the street. Garcia taught me how to look at the details in a person’s appearance and how to care for your subject while they are giving you their image. 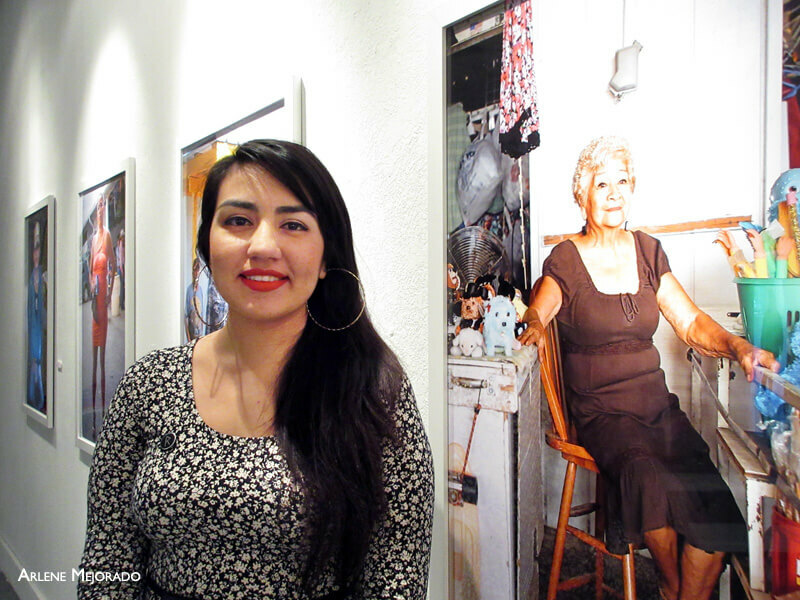 One day Garcia took me to go see her friend from Mexico named Graciela Iturbide. I didn’t know much about her at the time. We went to see her speak and I learned that she is one of the most important photographers of our time. It was the first time I felt like I could pick up a camera. I would say that Margaret Garcia and Graciela Iturbide were some of my biggest influences. Championing an appreciation and standing for ethnic, cultural, and religious diversity is huge! How did you start and team up for We The People campaign? I was contacted by Aaron Huey who is the founder of The Amplifier Foundation. He invited me to participate because he liked the themes he saw in my portraits. Huey said they were looking for iconic images and he knew he could assign me to shoot portraits of people that have been targeted with criticism by the new administration. Shepard Fairey looked through a pool of images by me and other photographers and chose the works of Delphine Diallo, Ridwan Adhami. It was a collaborative experience and I really looked to the guidance of my friends Ernesto Yerena and Ayse Gursoz who were also a part of the campaign. Which is your favorite tool/medium for capturing stories? I really like 35mm film photography and that is what I started with but I like the quickness of a DSLR, I shoot with a 5D Mark III and I normally use a 50mm fixed lens which is a portrait lens. It allows for closeness with my subject and a more honest view because it is a lens that closely reflects the gaze of the human eye. How do you see and define creativity? To me, creativity is like the chemistry in your imagination. Creativity is the activation of all the things you know and feel moving freely in you. There are certain reactions that feel right in the moment and those are the things we express. Creativity can also be collaborative. It is magic that takes place when the chemistry is right between two or more people. We like to understand how Artists stay productive. So, how do you stay productive every day? Do you have a routine that you follow? I don’t have a routine and I let my schedule look and feel different every day. But I always insert meditation and meaningful conversation with the people I love in my life. Personally, don’t feel I thrive in routine and maybe that is my artistic side. But I don’t think I have a shortage of drive and discipline. I love to work and my work is vital to my existence. Creative people seem to find money making a tough cliff. How did you combat this? What advice would you give to someone who is starting out? I don’t think I have combat this successfully. I still experience high times followed by low times but so far I can say I have learned that you need to value your work and learn how to say no to people. It is so important to remember that women are already underpaid and when you sell yourself short, you hurt other women. We need to improve our self-esteem and our relationship to money. I think this is especially a challenge for women of color. 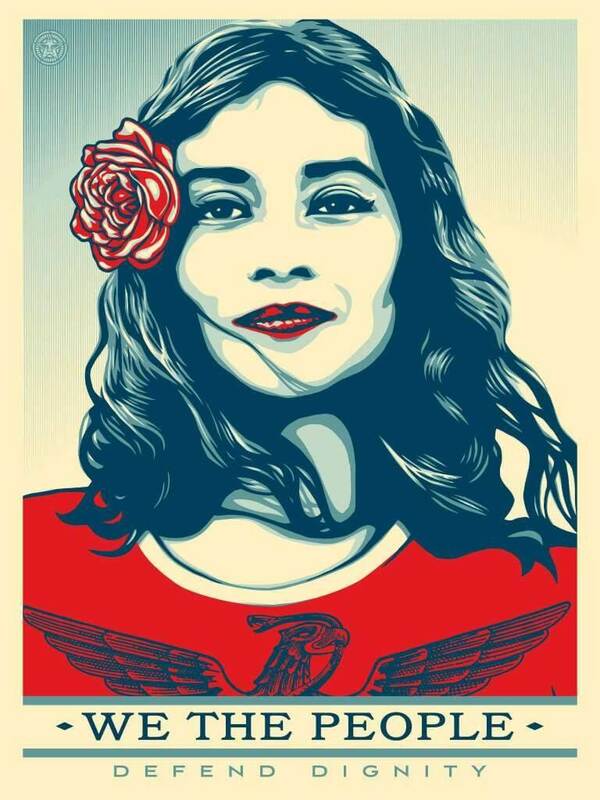 Women I admire: Destiny Mata, Julysa Sosa, Jessica Alvarenga, Itzel Alejandra, Star Montana, Adriana Monsalve, Adriana Morales, and Mercedes Zapata – all are incredible visual media creators and brown eyes looking into brown lives. There are so many others that I left out. Arlene lives virtually on her Website and Instagram pages. You can also find her on Twitter and Tumblr.